The following accessories are suitable for use with the nestboxes and cameras that we sell. Suitable for notebook and desktop computers. 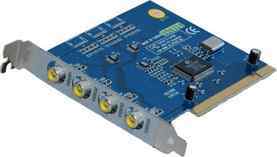 One composite phono video input, two phono audio inputs and one S-Video. PAL compatible. One composite phono input, one S-Video and analogue TV tuner. PAL compatible. 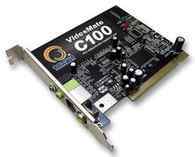 Supplied with Ulead VideoStudio 11SE and DVD MovieFactory 5SE software. Four composite phono inputs. PAL, NTSC and SECAM compatible. 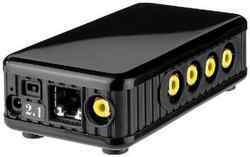 With four video inputs this product allows the viewing of cameras over a computer network. The server is configured and accessed via a web browser, by up to 9 users simultaneously. 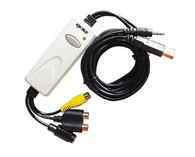 Supplied with power adapter, connection cable, software tools and on-screen instruction manual.